Ogenyi Onazi denied work permit. According to BBC Sport, Nigeria international Ogenyi Onazi has been denied a work permit to play for Birmingham City. 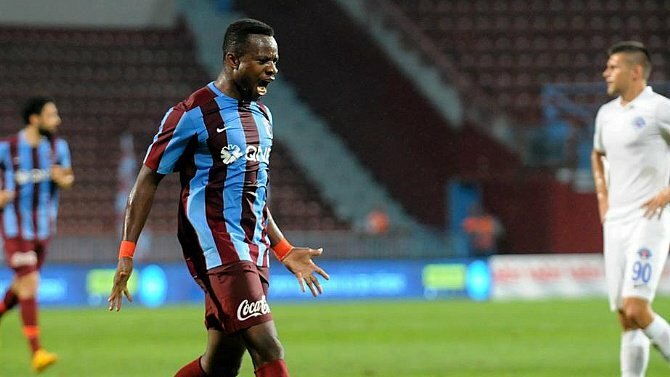 The central midfielder who recently quit Turkish club, Trabzonspor had his application rejected by the Football Association. BBC learnt that Nigeria’s failure to qualify for the past two editions of the Nations Cup has affected his chances of securing the permit. An appeal made by the club was rejected on Wednesday despite Onazi featuring in over 80% of the national team games. The 24 year-old has made 38 appearances times for the Super Eagles. PreviousBill Gates donates 5% of his fortune to charity. Super Falcons forward, Asisat Oshoala continues to grow in leaps and bounds.